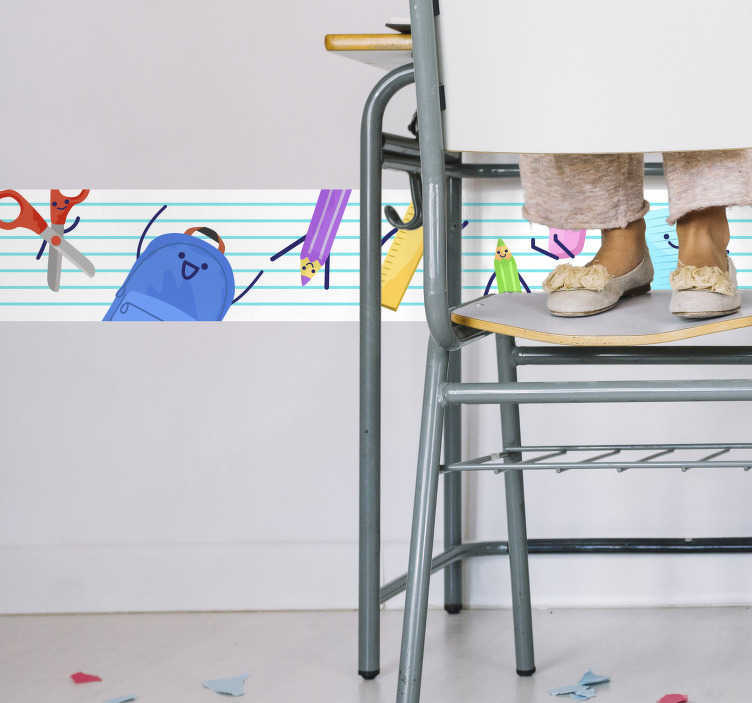 Purchase the school drawings decal for the wall in either a child´s bedroom or a classroom as a great decoration. As a classroom sticker it adds life to the room and makes learning fun! On the other hand, as a children´s bedroom sticker it will make them more excited for school after seeing all the fun small figures! The figures include backpacks. scissors, coloured pencils, pencil sharpener and more. Pick from or range of sizes of school stickers or customise the size to suit your surroundings.